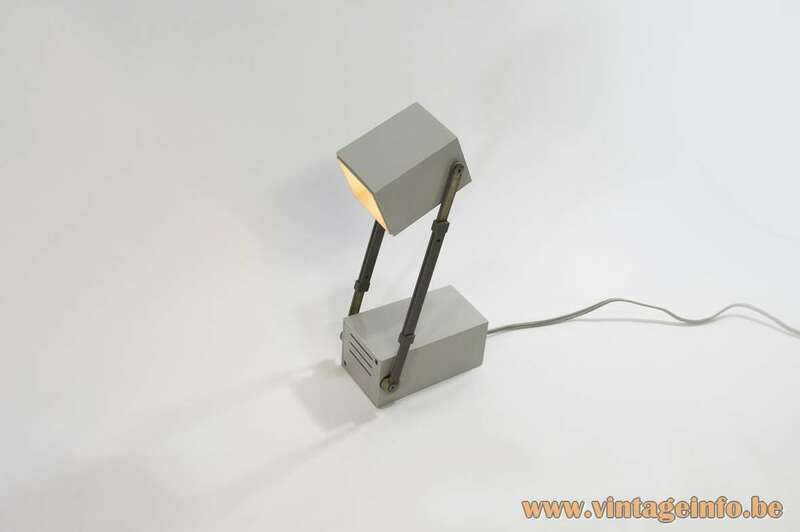 Materials: Foldable geometric light made of grey coloured plastic. 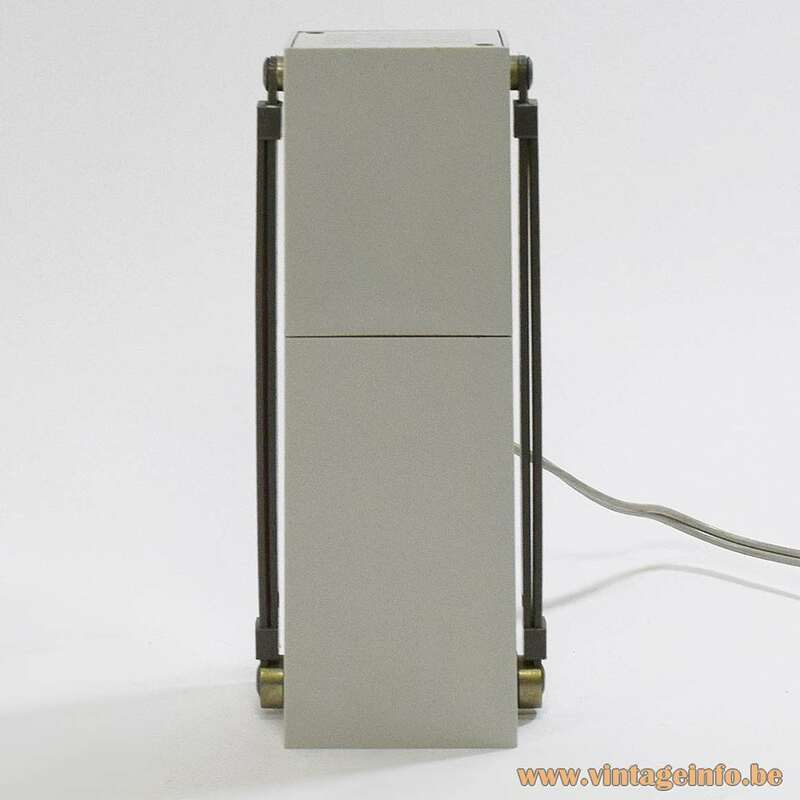 Dark grey plastic arms, chromed brass inside. Aluminium reflector. Metal socket. Transformer 220 volt, 12 volt. Electricity: 1 bulb B15, 1 x 25 watt maximum, 12 volt. The lamp has a transformer 220 to 12 volt. Any type of car light bulb can be used, not a specific one preferred. Manufacturer: Louis Poulsen, Copenhagen, Denmark. Other versions: Made in black, orange and grey. The switch on the back has 3 positions. Off, full power and half power. 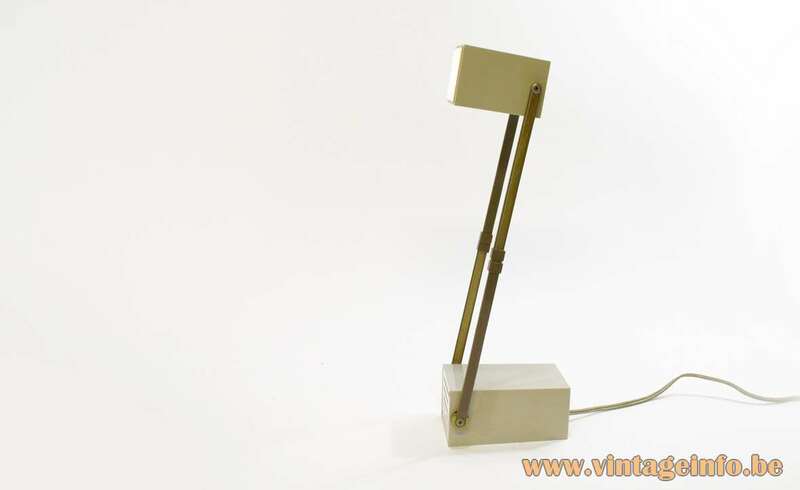 The same mechanism as on the Japanese Taki light Iris table lamp. 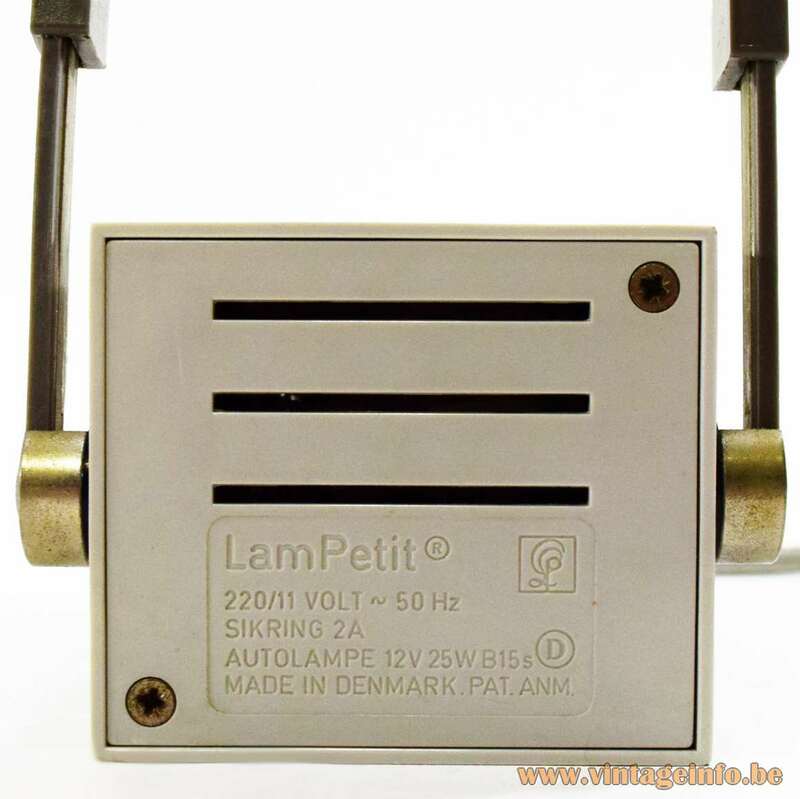 LamPetit: Lampetit is the Finnish word for wall lamp or sconce. This lamp was intended to use as a wall lamp. In the bottom there is a recess to hang it on the wall. 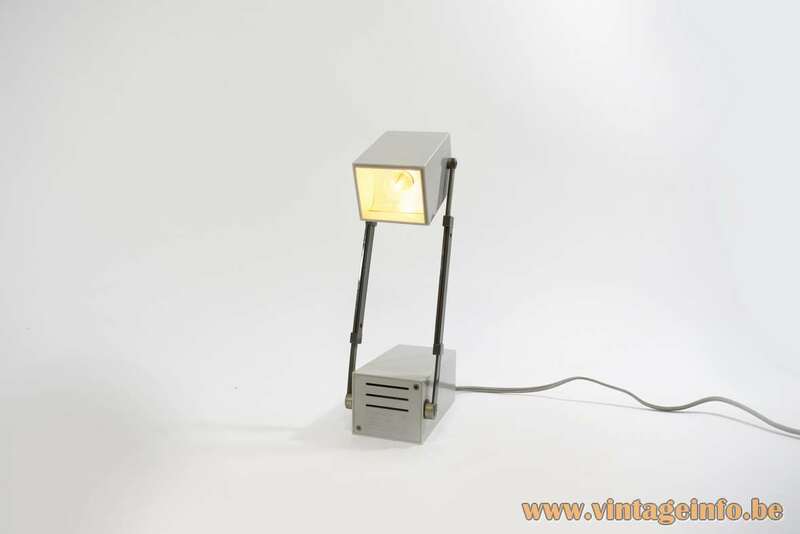 Most people use it as a bedside or desk lamp. Lampe Petite is also French for small lamp. 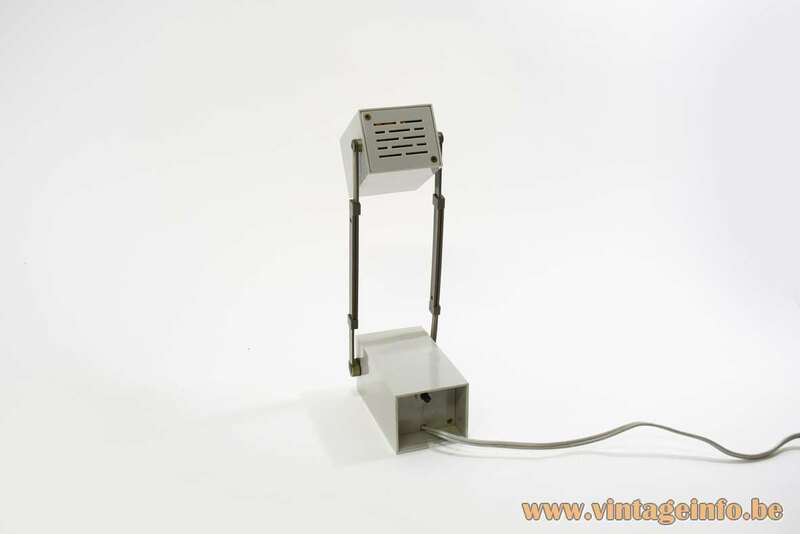 The LamPetit table lamp received an iF Design Award in 1971. 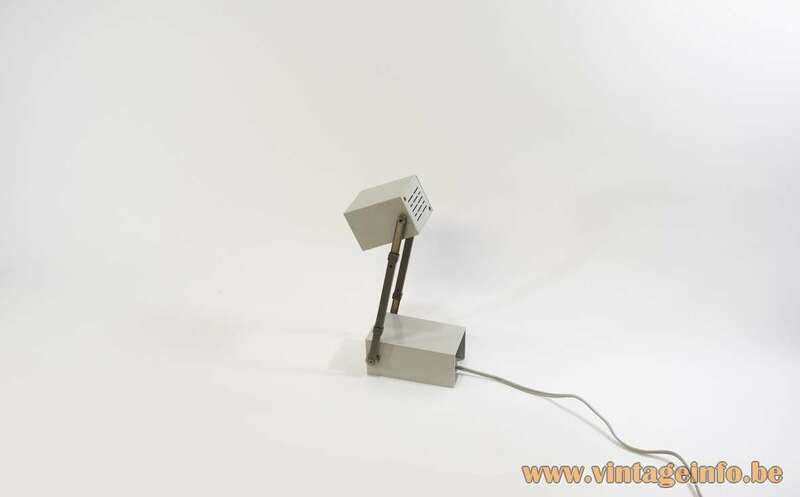 This table lamp is often attributed to Verner Panton, but it is not. Bent Gantzel-Boysen designed this lamp. 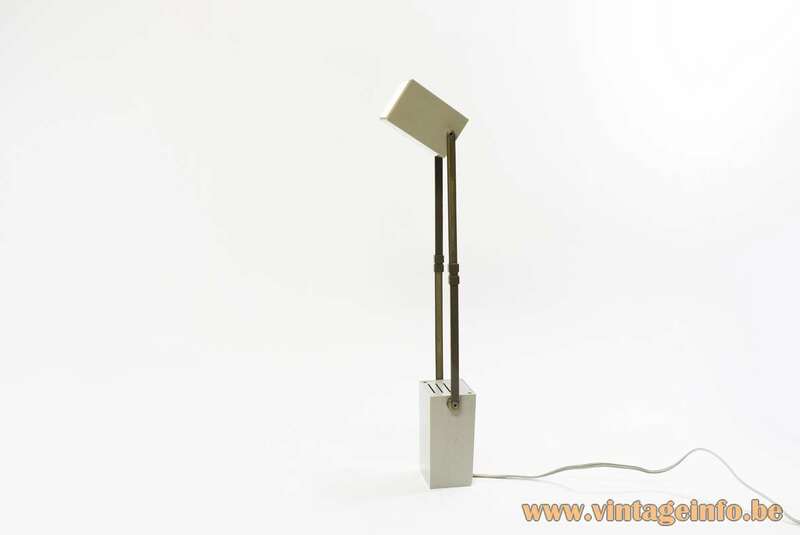 It was for the first time published in a lamp catalogue of Louis Poulsen in 1966. Bent Gantzel-Boysen was in the 70s head of Louis Poulsen’s own design team, who stood behind lamps like the 1972 IT series and the PH 80 table and floor lamps, drawn in 1974, to celebrate Poul Henningsen’s (1894 – 1968) 80th birthday. Later in the 1970s Bent Gantzel-Boysen went on to draw lamps for IKEA. One of the more spectacular from 1983 was the Duett pendant lamp with six colored metal screens. Verner Panton designed several lamps for Louis Poulsen. Among other things his famous Flowerpot pendant lamp, the VP Globe pendant, the Europa table lamp and the Panthella table and floor lamp. Louis Poulsen & CO A/S is a Danish lighting manufacturer that was founded in 1874 by Ludvig R. Poulsen as a wine importing business. 4 years later the firm closed down. However, in 1892 Ludvig Poulsen opened his second business, this time selling tools and electrical supplies. Two years later in 1896 his nephew Louis Poulsen started to work for the company. After the dead of Ludvig in 1906, Louis takes over the business. In 1911 Sophus Kaastrup-Olsen becomes a partner in the firm and the name changes in Louis Poulsen & Co A/S. Six years later Sophus Kaastrup-Olsen becomes the sole owner of the company. The best known designers that worked for Louis Poulsen are Poul Henningsen, Arne Jacobsen, Verner Panton, Vilhelm Lauritzen, Shoichi Uchiyama, Bent Gantzel Boysen and many others. Many thans to Kurt from lampesamleren.dk for his enlightening information.